Meets the Eurocodes categories A and B. For requirement with categories C1 to C4, please contact us. 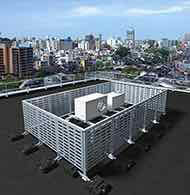 It is suitable for both roof terraces and balcony. The system is delivered to measure with a lay-out plan. The Panorama system has been designed with a discrete and practical aesthics. The stirrup has a side screw to be pre-positioned which facilitates the assembly of intermediate rails and filling modules. 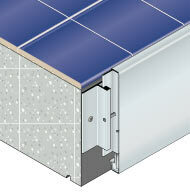 The junction parts are designed to fit into the alignment of the profiles. 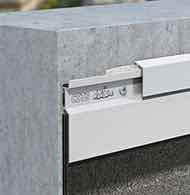 A closure fits into the lower throat of the handrail for a perfect finish. 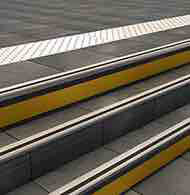 Tips are available to ensure the finishing of all handrails and smooth models. 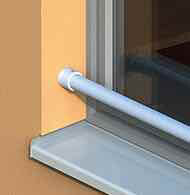 The rectangular handrail is available for all fills with vacuum under handrail. 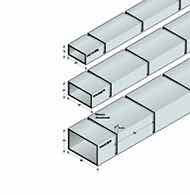 They also work with the intermediate and smooth rail of rectangular filling (combination with round model possible on request). 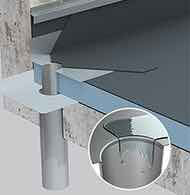 The round handrail is available for all fills with vacuum under handrail. They also work with the intermediate and smooth rail of rectangular filling (combination with round model possible on request). 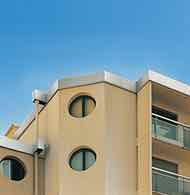 The curved handrail can reach a full height, with either a glazed or barred filling. It comes with the lower part by a rectangular filler. The shoe B is fixed on a slab or on a low wall. 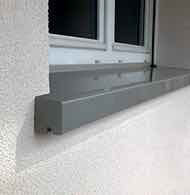 It adjusts the handrail vertically and horizontally. A wedge fits the hoof for an aesthetic finish. 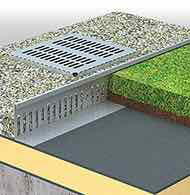 The hold is perforated to enable runoff of rainwater. 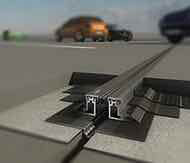 Adjusting the length of guardrail is possible with 2 screws over a range of ± 4.5 °. Adjusting the height of the upright reaches up to 10mm. 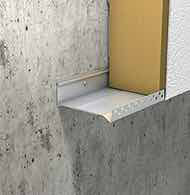 The A5 shoe is positioned in the nose of the slab, and the inside or outside a low wall. This fixing allows movement in front of the slab nose. 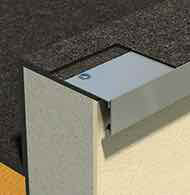 The A60 shoe is the perfect technical solution for a combination with the Couvernet system. 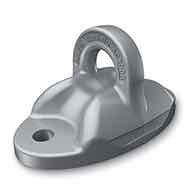 The Z-shoe is attached to the top avoiding any drilling of the seal . It makes it possible to make an inaccessible roof terrace accessible. 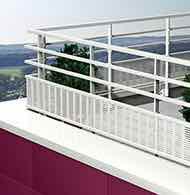 It is suitable for the majority of roof-terraces when the handrail is too short. It is compatible with the Covered Covert system. A specific offset part can be added to adapt the system to the attachment on an insulated acroter (up to 200 mm of insulation complex). 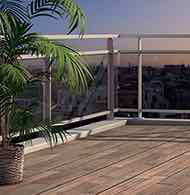 Panorama with hoof D makes it possible to secure an accessible area in roof terrace. It is fixed on the slab with sealing complex. In accordance with DTU 43.1, a top plate sleeve and a bottom platen sleeve are required for the sealing connection. 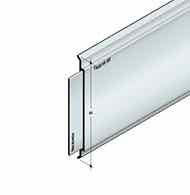 Handrail round (for variants other than "any height"
Pre-framed module with HPL panel (high pressure laminate) is 8 mm thick. 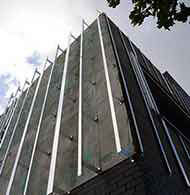 The HPL panel is opaque and highly resistant, andmeets contemporary architectural requirements. 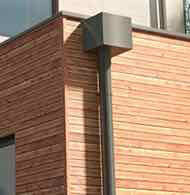 Its design can vary with a range of colours and effects of materials such as wood, metal, etc. on offer. Perforation is customisable but com 20/10 as standard. Multiple possibilities for customising the railing. This allows the filling to move in front of the slab nose. The Creeping Panorama® can be fixed on the last or penultimate step. The Panorama gate allows occasional access to inaccessible areas delimited by a Panorama railing. The gate is available as a bar, with a round or square filling. The guardrail is secured to the handrail and in the structural work. The finish is hidden. 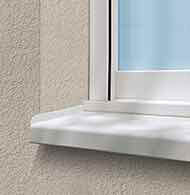 Compatible with the Marchenet range.